Mounting a standard 4" device to a ceiling grid can be difficult, but this single piece of hardware makes secure installation fast and easy with minimal tools necessary. One-piece design with 18 gauge galvanized arms and mounting plate. Appliance box also includes six 1/2" and 3/4" pre-punched conduit knockouts. 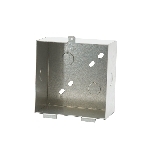 Brackets clip snugly between ceiling grid and tile per NFPA 70 314.23 (D)(1). Each arm is designed with 4 mounting claws to grip the tile and stabilize the unit horizontally. Ends of brackets can be adjusted with pliers to grip the grid tightly for proper vertical support. 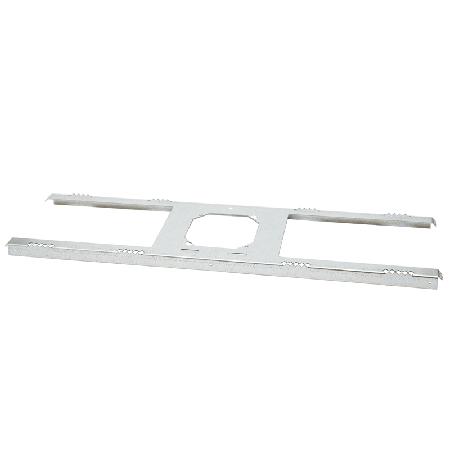 Utility knife must be used to cut ceiling tile and install device onto mounting plate. 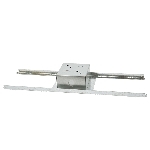 Each vertical upright corner includes a 1/8” hole to accommodate a support wire, independently secured to the superstructure, when required. A: These come pre-boxed from the factory, you can always buy the 5 then after your evaluation return them as long as they are in re-sellable condition and in their original packaging.